Larry Becker is a Certified Fundraising Executive (CFRE), one of only 5,400 throughout the world. He has been in fundraising for over 30 years serving the National Multiple Sclerosis Society, Archbishop Hoban High School (Akron, OH), the Benedictine Order of Cleveland/Benedictine High School, the Ohio Presbyterian Retirement Services Foundation (at Rockynol), the Hattie Larlham Foundation and Habitat for Humanity. Currently he operates Golden Rule Consulting. Clients have included Hard Hatted Women, Barberton Kiwanis, African Sky, Faith United Methodist Church, Nazareth Housing Development Corporation and the Center for Nonprofit Excellence among others. Becker was trained as a teacher, acquiring the skills necessary to become a successful fundraiser: planning, communication, teamwork, and crisis management, among others. The CFRE exam clarified his expertise in such areas as building and nurturing relationships, securing the gift, fostering volunteer involvement, effective leadership development and responsible stewardship of donors and their gifts. He is a long time member of the Association of Fundraising Professionals (AFP) and served the profession as the president of its North Central Ohio Chapter on two occasions. 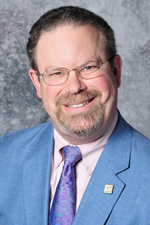 He is a member of the First Congregational Church of Akron where he has served on the Endowment Board, chaired the annual stewardship campaign several times and acted as a member of the capital campaign leadership committee. He has been married for thirty years, lives in Copley, Ohio and has one daughter and one grand daughter, who has him wrapped around whatever finger she wants. Contact Larry at 330-696-6709 or success@Golden-Rule-LLC.com. © 2012-2017 Golden Rule Consulting LLC, Copley OH 44321. All rights reserved.